It's not obvious how to display a "loading" indicator while the map is working, when using the ArcGIS JS API version 4. This project started with a hunch - that the 7-day weather forecast isn't reliable enough to be of any practical use. So many times you check the weather and see that it's supposed to be cold and rainy next weekend - then when the day comes around it's actually warm and sunny. 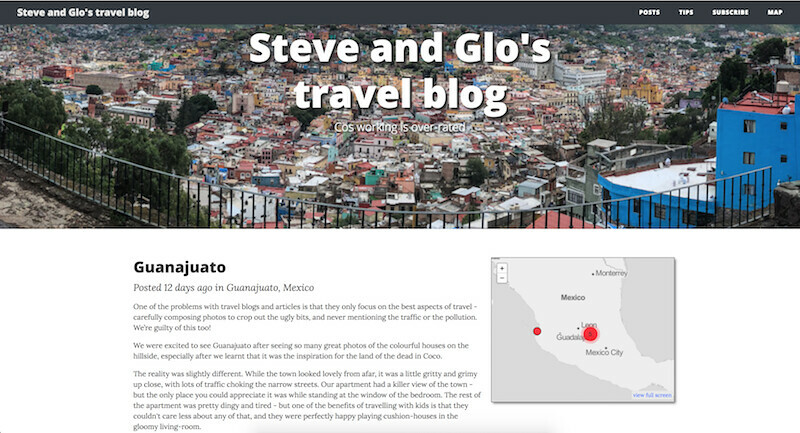 I love maps, and taking travel photos, so when it came time to revamp my family's old travel blog I knew I wanted to make the maps a central part of the experience. I built this site using Rails 5, and it functions like a standard blog with the ability to create & edit posts, view next/previous entries, etc. The difference is that each blog post is georeferenced, which allows me to show an interactive map on each post (this shows the locations of nearby posts). 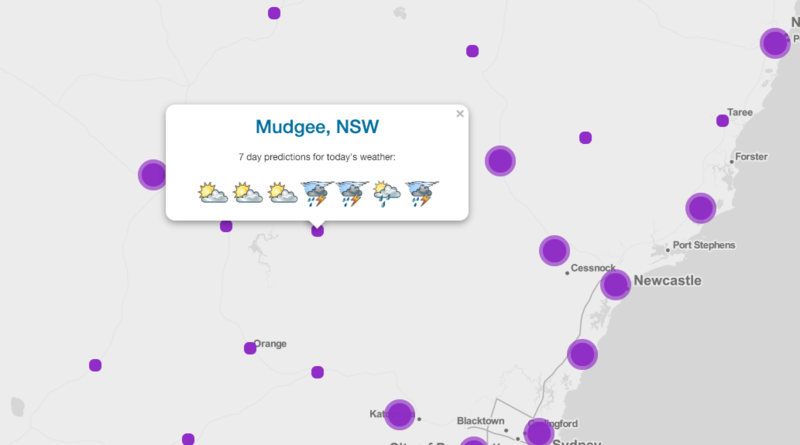 While working with Insurance Australia Group, I wrote a web-mapping framework based on the excellent Bootleaf application by Bryan McBride. This presentation was given at the FOSS4G Oceania conference in Melbourne during November 2018, and covers the Bootleaf web mapping framework that I developed while at IAG. Why the solution to your transport woes is to take control, and ride a motorcycle. There are lots of good reasons, plus it's fun. Filmed at Ignite Sydney. Bottled water is an unconscionable use of our valuable natural resources, for no valid reason. Here's why. Filmed at Ignite Sydney.